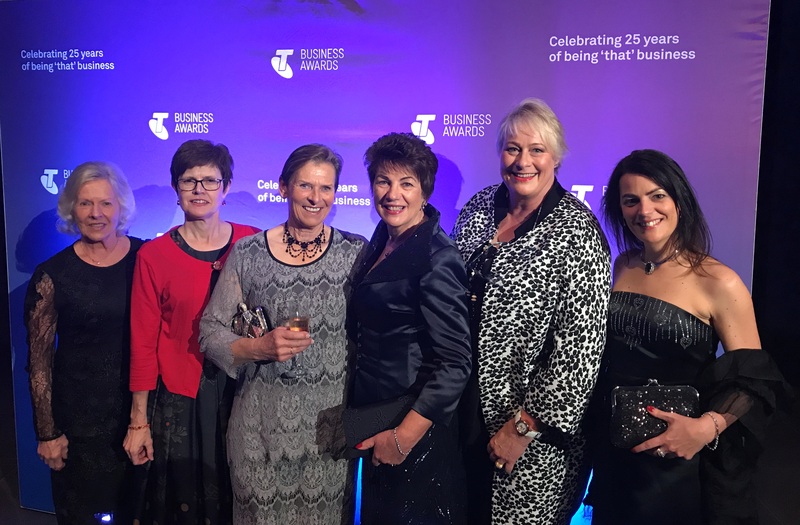 Telstra Business Awards – VIC State Finalist! 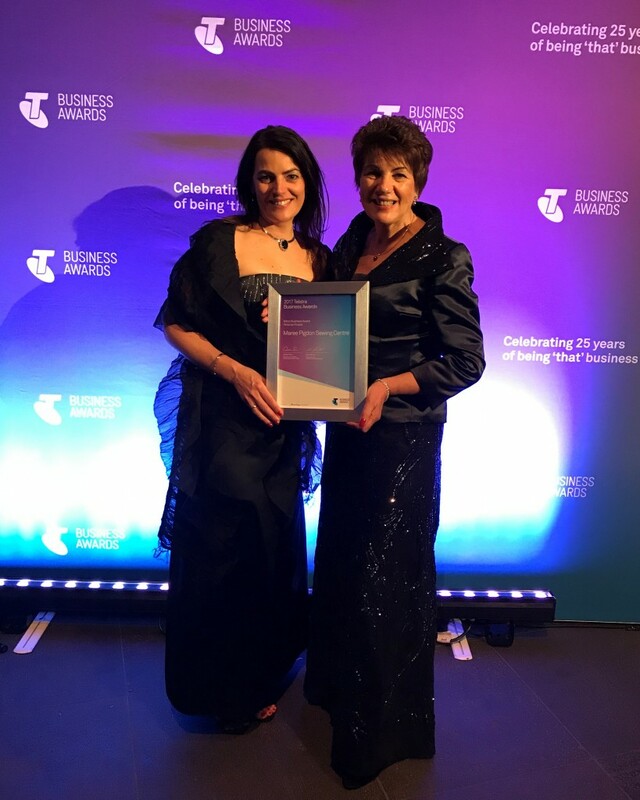 With over 5,000 entries Australia wide, the local Geelong mother and daughter team, Maree & Jacqueline Pigdon were finalists and placed in the top 5, for the Micro business category in Victoria. Having started sewing aged six, and making her first made-to-measure evening gown at 14 and her first bridal gown by 17, Maree Pigdon, likes to think she was born with a needle and thread in hand. Wanting to share her passion with like-minded creatives and show others how to sew professionally, Maree began teaching classes in dressmaking, fashion design and step-by-step garment construction, online and at her eponymous sewing centre. With students aged eight to 88, classes cover all ability levels, from complete beginners to upcoming fashion designers, and strive to challenge the notion of sewing as a dying art. The Maree Pigdon Sewing Centre and online sewing courses aim to foster a love of creative design and show people how to make and sew beautiful clothes like a professional. 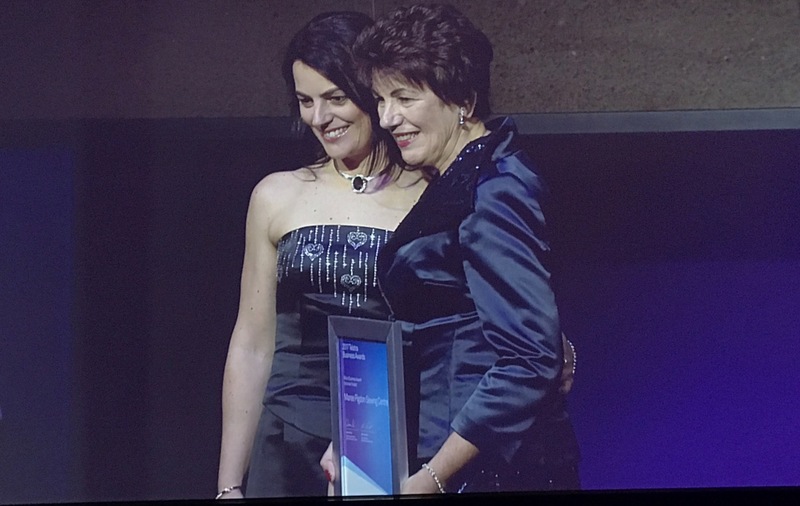 “We had such a wonderful evening celebrating on Friday 28th July 2017 at The National Gallery in Melbourne. The black tie event was absolutely fabulous, we had our table of friends and family there celebrating right along with us. Being among all the other business finalists there was just fantastic! We were asked to bring along an artifact or a picture from the early days and here is what we found! 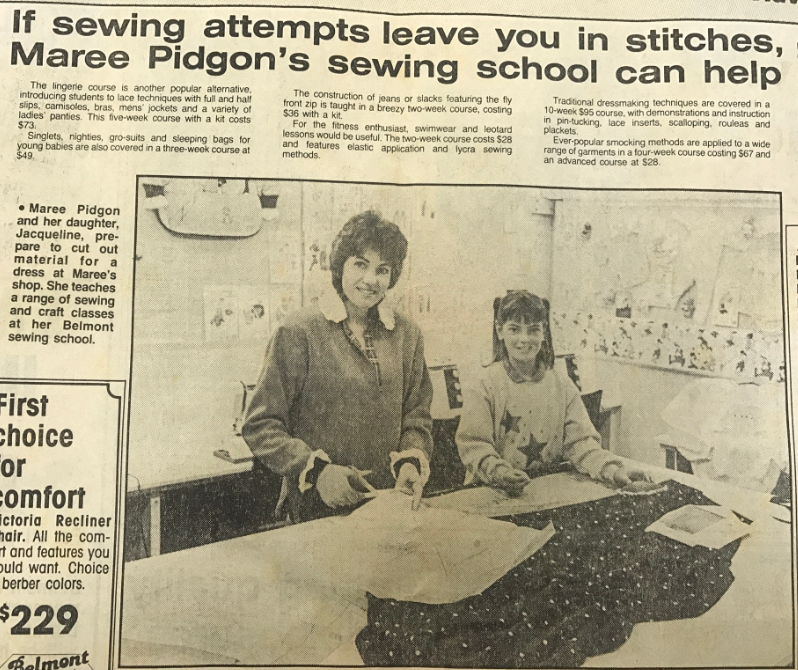 This newspaper clipping was from back in 1984 in one of my shop premises in Belmont, Geelong. It sure has been an amazing journey! Thank you to our wonderful Telstra judges too, Michelle and Chris, who were so supportive and made the whole process fun and ever SO EXCITING! !